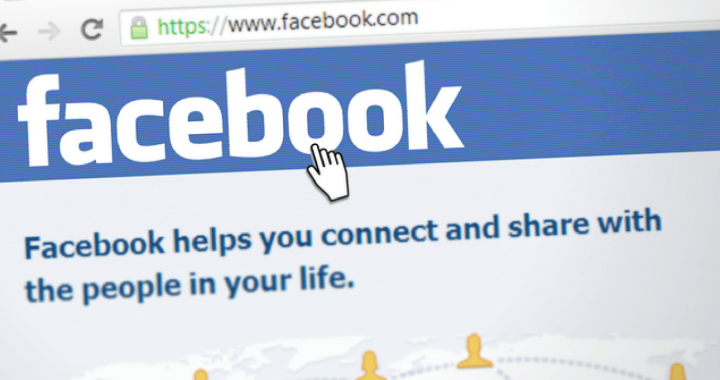 This month, Facebook have announced that they will be updating the layout of Facebook Business Pages. They will be doing this by changing the template to ensure it helps customers connect with local businesses better. We have put together all of the details you need to know about the update, when you can expect it and how it will affect your page. When can I expect the update to happen? Facebook has sent out an email to all users who run a Business Page to let them know about the change. As you can see from the image above, you are able to apply the new template yourself straight away. If you haven’t received an email regarding the changes, then your page will automatically switch over on 22nd August 2018. What does the new update mean? 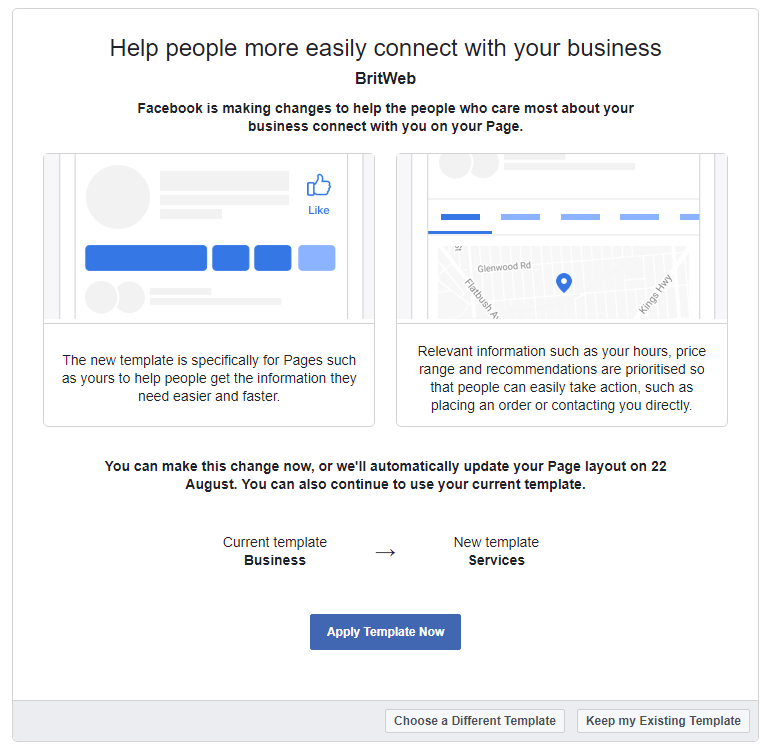 Facebook are rolling out this update to make it easier for users to connect with businesses on their Facebook page. There has been a lot of upheaval in the Facebook Business community, with a decline in organic reach due to Facebook changing its algorithm, so they are looking to ensure businesses don’t lose faith in the platform. The new layouts are tailored to each business, depending on what you categorise your business as on Facebook. For example if you are a restaurant, then Facebook will prioritise showcasing your menu and opening hours or if you are a shop, then they will prioritise showing customers your products. Relevant information such as hours, services and price range will be prioritised and placed near the top of the page to help users access the information quicker. The different categories will highlight specific actions on your page to drive customers to take action. If you are happy with your template you don’t have to change it, just select the option to ‘Keep my Existing Template’. We have a wide range of clients that we manage on social media to boost their brand and online engagement. If you and your company require help from our expert team please do get in touch by either emailing info@britweb.co.uk or calling 01403 261491. Posted in Blogs, Digital Marketing, Social Media.